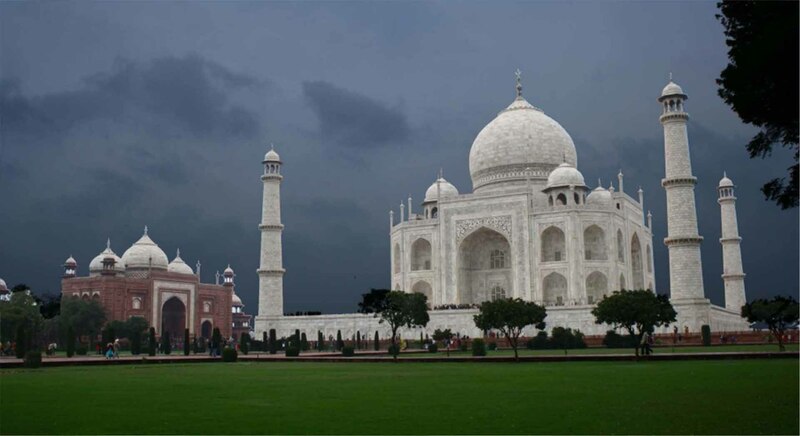 Agra Overnight Tour is a wonderful tour package to explore spectacular places like New Delhi, Agra and Fatehpur Sikri. The most attractive aspect of this tour is that it takes you to Taj Mahal, the architectural wonder of the world. The tour continues with a visit to the Agra Fort from where one can get the most amazing view of the Taj Mahal from the little octagonal tower in the Agra Fort that lies across the River of Jamuna. Pickup from Hotel/Airport/ Railway Station/ your suggested place in New Delhi and proceed to Agra (3 Hrs) by AC Car for overnight Agra trip. On arrival you'll check in at your hotel in Agra. After Agra Fort you will proceed to Itmad - Ud -Daulahtomb. Like Taj Mahal,Itmad - Ud - Daulah is alsoa well known Mughal mausoleumin Agra and due to some of itsresemblance with Taj Mahal.This edifice is popularly known as "Baby Taj".Thistomb is elaborately carved withpuremarble thatconfirm to Indo Islamic architecture style. Empress Noor Jahan ordered this tomb after the death of her father, Mirza Ghiyas Beg( known as Itmad- Ud -Daulah ) in 1622. Time - 18:45 Back toyour hotel. Overnight in Agra. Next day leaving hotel early morning for sightseeing of Taj Mahal at sunrise.The Taj Mahal,a mausoleum constructed by fifth Mughal emperor in loving memoryof his beloved wife Mumtaz Mahal stands as testimony of their eternal love.Taj Mahal is an Arabic word whichliterally means "Crown Palace". Time - 07:45 Back to hotel for breakfast and shower. Ending tour at Fatehpur Sikri followed by driveback to Delhi.Enroute you can stop at any multicuisine restaurant for lunch. Any other expenses of personal nature like tips, laundry, phone calls, etc.